Director Andrés Muschietti's IT remake hasn't even debuted in theaters yet and the director has already been talking about a second installment to properly adapt Stephen King's original novel. If that wasn't enough, Muschietti and his sister, producer Barbara Muschietti are setting their sights on adapting King's Pet Sematary next. The news comes after the house that King wrote Pet Sematary in went up for sale in Orrington, Maine. The 113-year old house is being sold for $255,000 and includes the pet cemetery in the backyard. While promoting the upcoming remake of IT, Andrés Muschietti spoke to the Toronto Sun about adapting such a large book into a feature length movie. The director mentioned that it wasn't that hard to split up between three screenwriters to come up with something that they all felt fans would enjoy. Plus, the addition of a second movie will help to bring back scenes that had to be cut and properly represent Stephen King's vision on the big screen. The director said that they have zero interest in just adapting a Stephen King book for the title alone, stating that, "we are true fans of his work." The Muschiettis also have the rights to King's science fiction horror short story Jaunt, which they hope to adapt as well, but they also have their eyes on another King novel. The Muschiettis really want to dig into Stephen King's 1983 book Pet Sematary next. The early buzz for IT has been absolutely off the charts, so it would be pretty interesting to see what the Muschiettis could bring to the table for a fresh take on Pet Sematary. Andrés Muschietti mentioned that if they could get it right, that Pet Sematary could possibly be up next. The director explains. "We're huge fans of Pet Sematary. If we can get our hands on that and do the Pet Sematary we want to do, that will be something. One day, maybe." Stephen King's Pet Sematary was originally adapted for the big screen in 1989 and has gone on to cult status despite mixed reviews upon its release. A sequel followed in 1992 to worse reviews and also went on to gain a cult audience over the years since its initial release. King has said in the past that the book is "terrible" for the way that it just "spirals into darkness." Remakes have been rumored for years, but the Muschiettis might be just the team to pull off a fresh take on the 1983 novel and now is the perfect time as Stephen King is pretty much everywhere these days. As with any big screen adaptations of books, the pressure is on, especially when dealing with Stephen King's stories. Let's just hope that the Muschiettis are able to pull of their adaptations better than the recently released Dark Tower, which has been getting torn apart by critics and will more than likely be out of theaters soon. 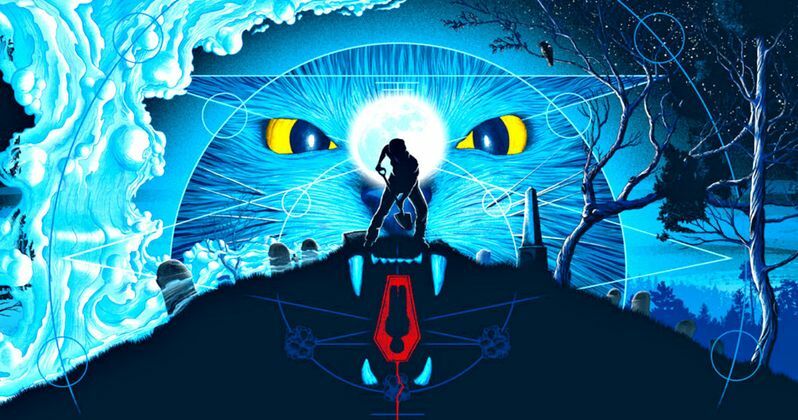 In the meantime, we still have IT coming out in a few weeks to hold us over while we wait for more news on a possible Pet Sematary remake.